They say that “Everything is Bigger in Texas,” but bigger isn’t necessarily better. 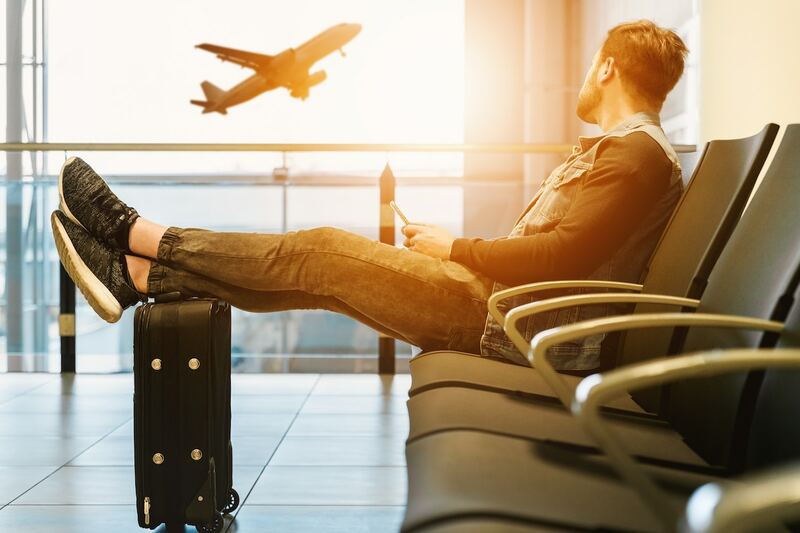 Whether you’re planning a corporate retreat, a family reunion, or just looking to escape the big city blues, any of these historic, charming, and sometimes weird small-town wonders would make memorable and unique trips. And what better way to transport your friends than to charter a bus from Austin? Here are our picks for Texas towns near Austin that you just have to visit at least once in your life! 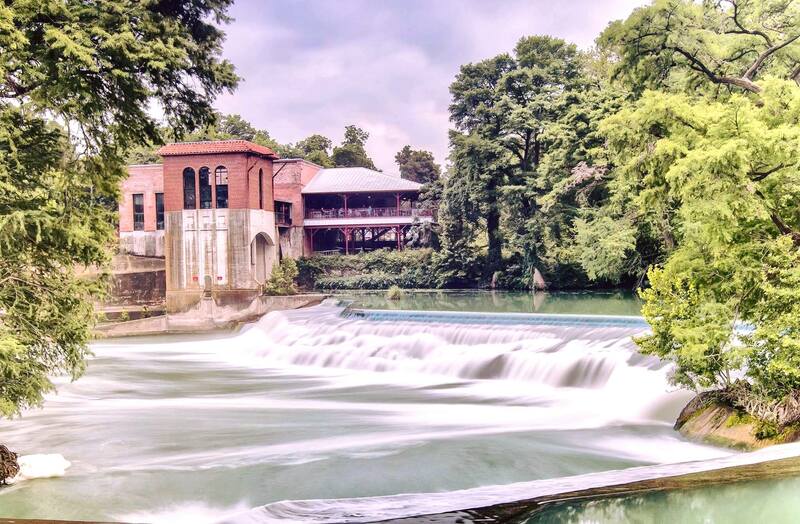 Whether you visit for a bite to eat, a friends birthday, or a wedding, Seguin has amazing venues all round, especially the amazing Power Plant. Photo courtesy of Power Plant Texas Grill. Outside the courthouse in central Seguin sits a massive statue under a sign that reads “World’s Largest Pecan.” That giant pecan is the source of great pride for the townspeople, but it isn’t the only charming detail that Seguin is hiding. The town’s concrete buildings surrounded by babbling brooks and shade trees are a welcome reprieve from the skyscrapers of Austin. One such building holds the Power Plant Texas Grill, an old mill that hosts live music and private events. Sometimes it’s best to take a step back. 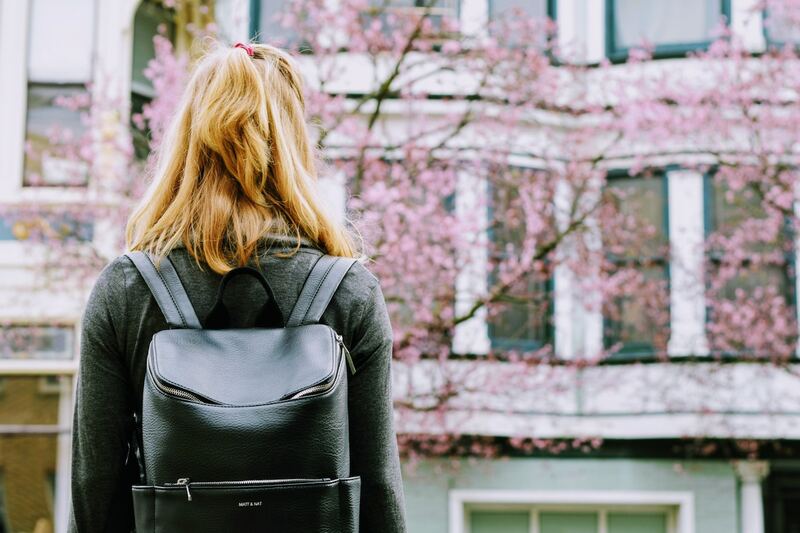 Escape to this unique town, grab a book, and live in the moment. Photo Courtesy of Booked Up Inc. Upon seeing Archer City’s historic downtown, one can’t help but think of tumbleweeds, Texas Rangers, and sunset showdowns. Larry McMurtry thought the same thing when he wrote his Pulitzer Prize winning novel Lonesome Dove, set in his birthplace, Archer City. Not only is McMurtry a hometown hero, he’s also the owner of Booked Up, a shop that sells both rare books and plain ol’ good reads. Popcorn, hot dogs, pizza and more! What’s not to like when visiting Ennis. Photo courtesy of Galaxy Drive-In. Everything about Ennis is focused on getting people out onto the brick streets of its lively downtown core. 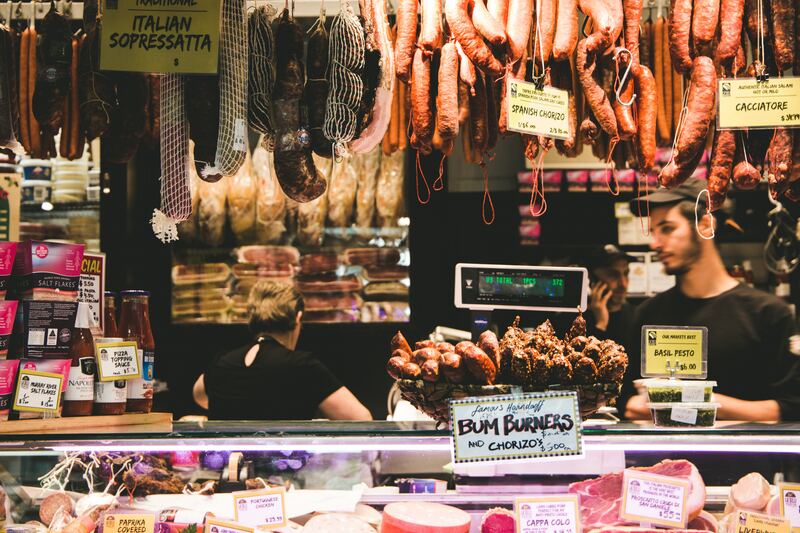 There are loads of market stalls along the main shopping strip, but the real draw is the festival season which features a National Polka Festival and a Bluebonnet Festival. 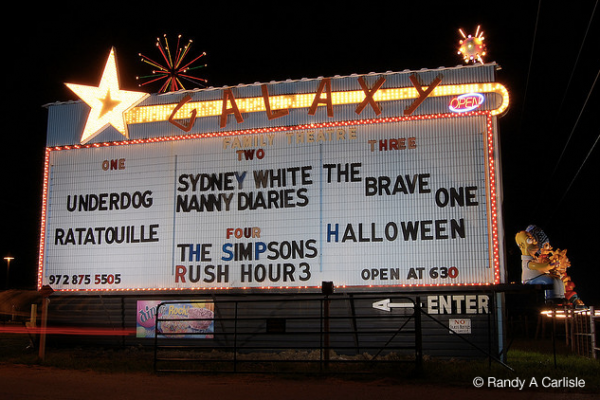 Ennis is also home to the Galaxy Drive-In, a cool throwback activity to consider after all those street parties. Czech yourself before you wreck yourself. This pit stop offers delicious cookies, warm bread, and their signature Kolaches. Photo courtesy of Czech Stop. You don’t get more “old west” than a place called West. This sleepy town has all the staples of a classic Western—quiet saloons, dusty streets, vintage railway stations—but it’s also home to one very special pastry: the Kolache. West’s Czech residents have popularized this delicious treat filled with cheese, sausage, and fruit. Kolaches are available 24/7 at the Czech Stop in West—the perfect pit stop on your tour of Texan towns. At this Ranch, they add “cowboy-chic flare” to any event. Photo courtesy of Eagle Eye Ranch Carriage Company. Legend has it that the Rainbow founders gathered to name their town during a raging thunderstorm. After the meeting, the townspeople spilled into the cool air where they were greeted by a rainbow. But the best part of Rainbow isn’t its lore. It’s the dinosaurs! Dinosaur Valley State Park boasts an incredible set of dinosaur tracks that are best viewed from horseback guided by the folks at Eagle Eye Ranch Carriage Company. Did someone say Tacos? Visit Laredo and stop by this awesome cuisine. They have spices that will wipe your slate clean. Photo courtesy of Las Kekas. Located on the North Bank of the Rio Grande, Laredo is one of the oldest border crossing points in America. The town’s beautiful mix of culture attracts thousands to the main shopping strip where different cuisines and folk art are celebrated. After perusing the Mexican Import shops, stop off at Las Kekas Restaurant for some delicious Mayan and Mexican cuisine. Pardon, while my mouth waters. The Original Black’s in Lockhart is the oldest BBQ joint in Texas, and is still owned by the same family. Photo courtesy of Lockhart. When Byrd Lockhart named this settlement after himself, he had no idea he was founding what would one day become the “Official Barbecue Capital of Texas.” Take the Lockhart challenge and eat at all four of the town’s BBQ pits: Kreuz Market, Smitty’s Market, Chisholm Trail Barbecue, and Black’s Barbecue. Black’s current pit was built in 1949 and can hold up to 500 pounds of meat. 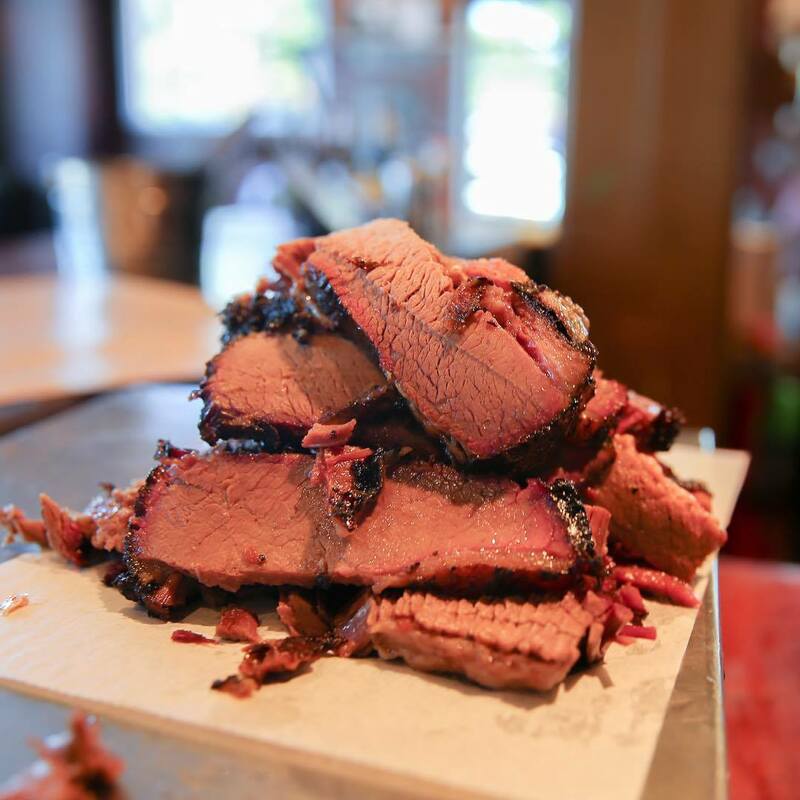 We recommend chartering a bus, so no one has to drive through a meat coma. Fins is a great restaurant fo fresh food, a fun atmosphere, and fabulous view! Stop by and get yo’ grill on. Photo courtesy of Fins Grill and Icehouse. Port Aransas is a fisherman’s paradise. Cast off from any of its beaches or claim a prime spot on the Horace Caldwell Pier, an elevated dock that extends far out into the Gulf of Mexico. Once you’ve caught your fish, make it your dinner at any of the “Cook Your Catch” restaurants along Port Aransas’s coast. Our favourite is Fins Grill and Icehouse, which overlooks a bustling harbour and lights up at night with festive colourful lanterns. Old Doc Sodas has been bottling for 120 years now. 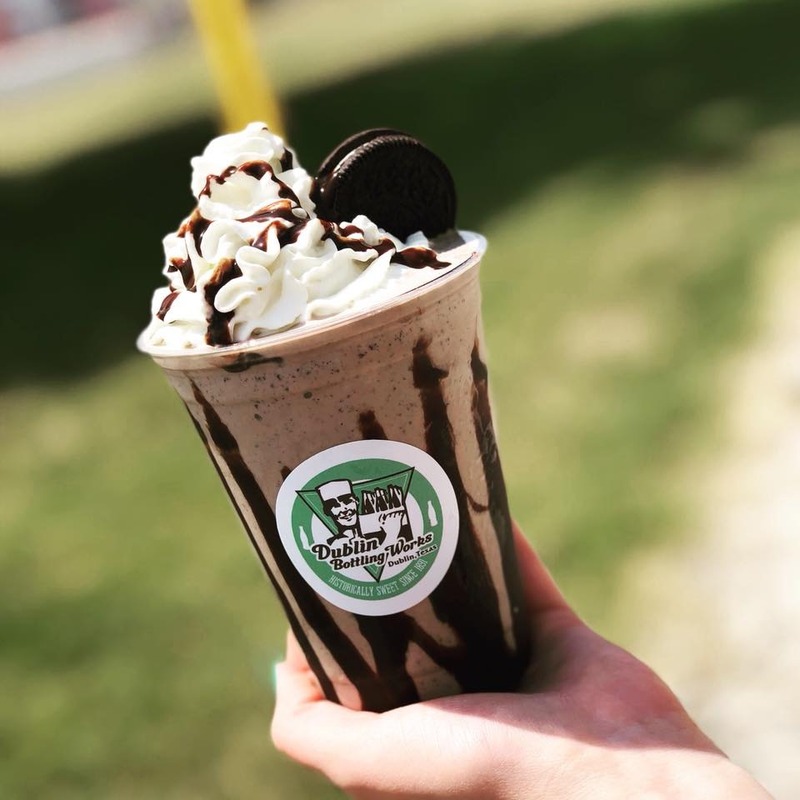 Checkout this soda shake…Double Chocolate Oreo! Photo courtesy of Old Doc Sodas. While most people know Dublin for its connection to Dr.Pepper (the oldest bottling plant is located here), few are aware of its contributions to the American rodeo. After sipping a float at Old Doc’s Soda Shop, head over to the Dublin Rodeo Heritage Museum to learn about the Lightening C Ranch which once bred horses for rodeos that travelled across the States. Built in 1878, this Texas hall is the oldest continually operating and most famous dance hall. Photo courtesy of Gruene Hall. The Great Depression was hard on Gruene, but nothing could stop the town’s rich musical scene that still thrives today. 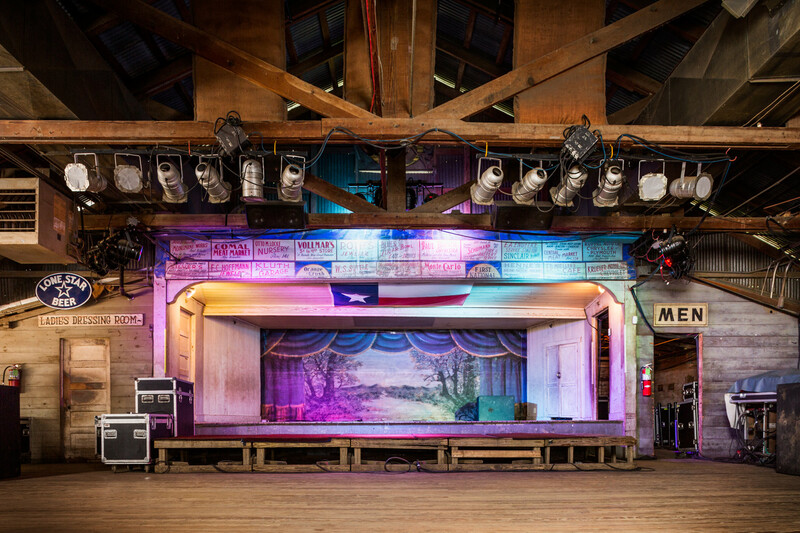 Built in 1878, Gruene Hall is Texas’s oldest operating dance hall, and it’s looked pretty much the same since the first pair of boots hit its floor. Huge names in country and blues have played this tiny town, including Emmylou Harris, BB King, and Chubby Checker. The Blue Quail Deli features great food and a casual relaxing atmosphere in which to eat. 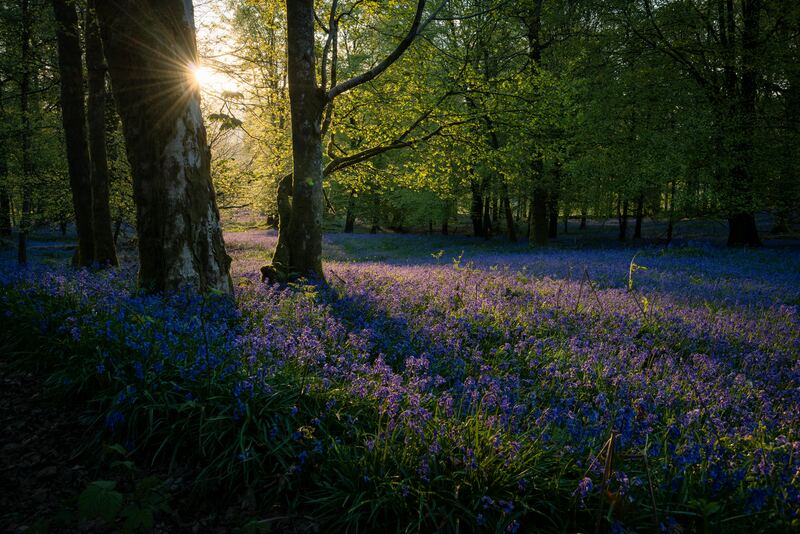 Photo by Benjamin Ashton on Unsplash. Goliad’s main street is an intact and pristine example of early Texas settlements. Founded in 1836, Goliad is the third oldest town in Texas, and home to the Presidio La Bahia, a fort built by the Spanish Army that has been restored as a National Historic Landmark. Finish a tour of Texan history at the Blue Quail Deli in the town’s main square. Their jalapeño soup is insane! Located in the heart of the Golden Triangle of Houston, the graceful and charming Belle of Round Top is a welcome place for guests. Photo by Click and Learn Photography on Unsplash. When city-slickers think of small art communities, they often think of Marfa and ignore Round Top. Big mistake! This gorgeous town is the best kept art secret in Texas. Round Top is home to an impressive orchestra, a Shakespearean theatre company, and several artist residencies. Visit this creative hot spot with friends and accommodate them all at the Belle of Round Top Bed and Breakfast Retreat Center. It’s a restored Victorian mansion, furnished with antiques, and surrounded by porches that overlook a garden of wildflowers. Enjoy this visit while relaxing on Ino’z beautiful outdoor deck, catch up with friends and family while enjoying the sunroom view overlooking Cypress Creek. Photo courtesy of Ino’z. With its many opportunities for cliff diving, Wimberley is THE place to get your adrenaline fix. Jacob’s Well Swimming Hole can be dangerous, but its designated diving area is breathtaking. If you’re not one for death-defying leaps, the wading pools are a blissful temperature. Swimmers must make a reservation to visit Jacob’s Well, but this system keeps the pools clean, spacious, and enjoyable. 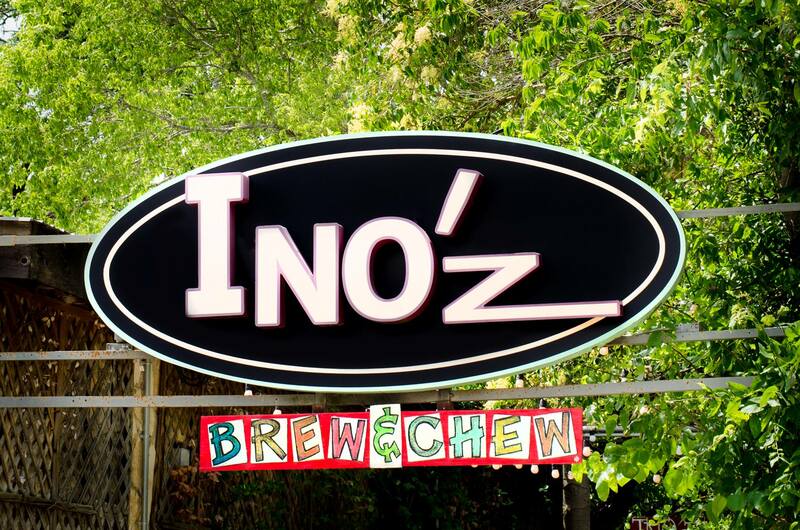 After a dip, head over to Ino’z Brew and Chew, a shaded patio that’s known for its Ribeye Sandwich, cocktail menu, and Southern hospitality. This bistro is introducing farm-to-table German cuisine to the Texas Hill Country, stop by for biodynamic wines, artisan cocktails and craft beers. Photo Courtesy of Otto’s. Like many towns in Texas, Fredericksburg was founded by German settlers in the mid 19th century, and the local cuisine reflects that history. Foodies gather in Fredericksburg to delight in its many restaurants that serve traditional German fare. The Wurst Platte, Schnitzel, and Flammkuchen at Otto’s German Bistro is worth the trip. Texas themed gifts and souvenirs for everyone! Photo by Chor Hung Tsang on Unsplash. When a descendent of Luckenbach’s founding family, Benno Engel, retired as post master, he placed an ad in the local paper that read, “Town for Sale.” Three fun-loving hippies—Hondo Crounch, Guich Koock, and Kathy Morgan—answered the call, and bought the town with an Old Western fantasy in mind. 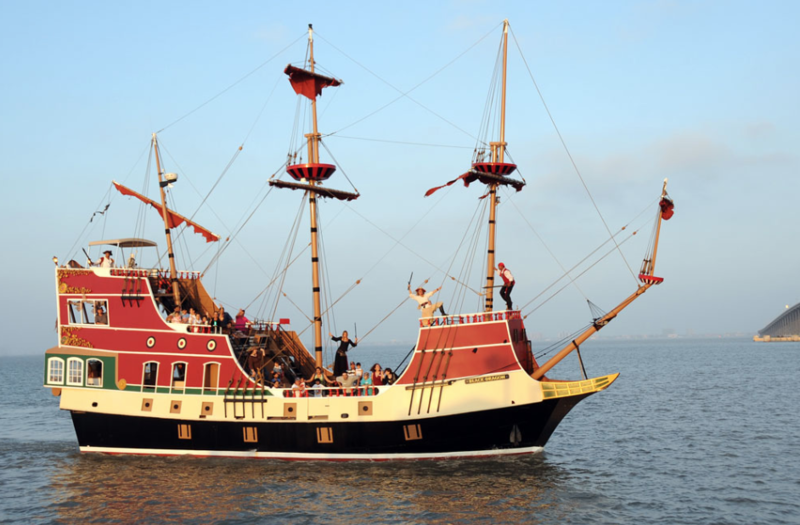 They appointed Hondo mayor, threw epic parties, and even assigned Luckenbach ambassadors to other countries. 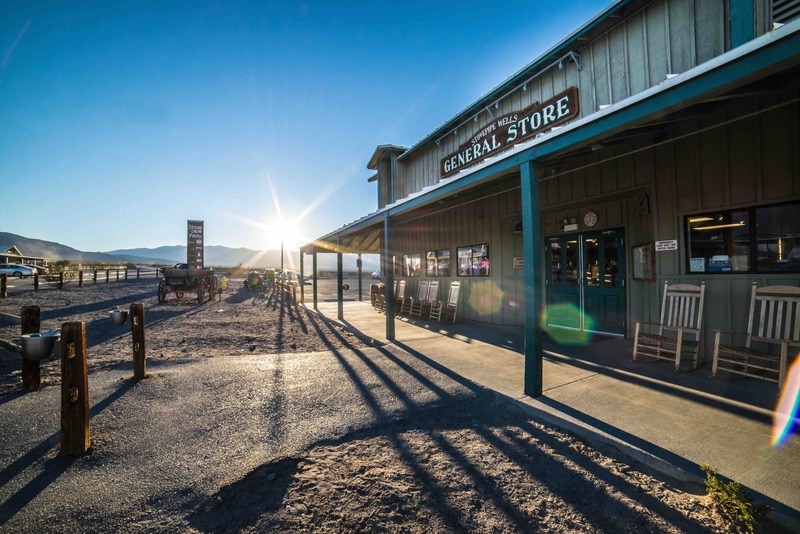 Over the years, the town has attracted thousands of visitors to its General Store which doubles as a saloon that has hosted some pretty big names in hippie culture. With every beer that comes out of the brewery, they honour Kosmos Spoetzl’s, the founder. Photo Courtesy of Shiner. 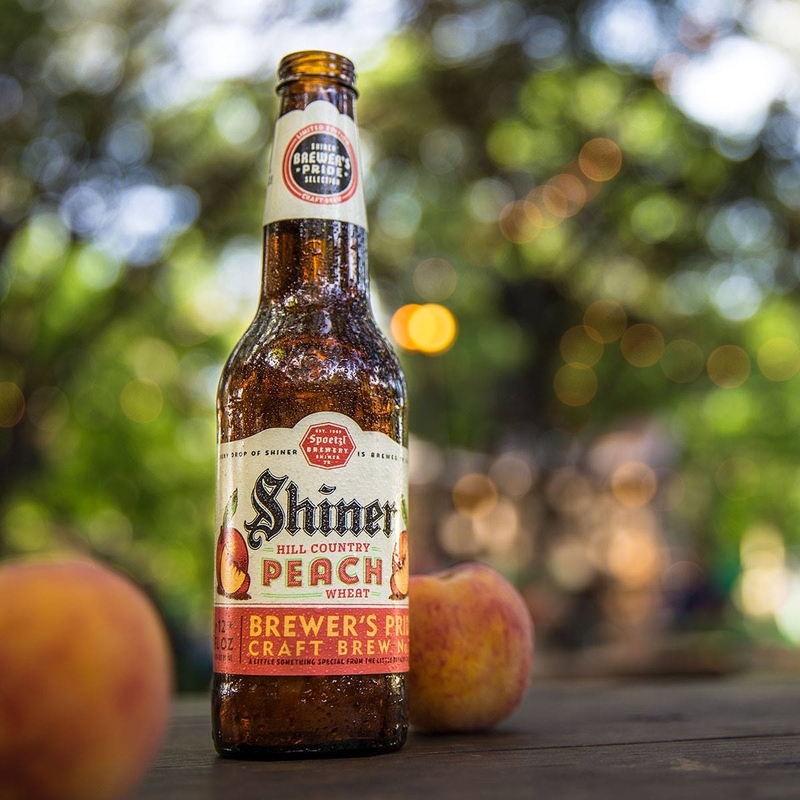 From every corner of every watering hole in Shiner, you’re bound to hear, “Prost!”—the unofficial town slogan and the German word for “Cheers!” Shiner is home to the Spoetzel Brewery, which has been serving up Shiner Bock since 1909. The town only has one stop light, but it’s got more beer taps than any one person could sample. So, bring your friends, tour the brewery, and drink responsibly by chartering a bus. 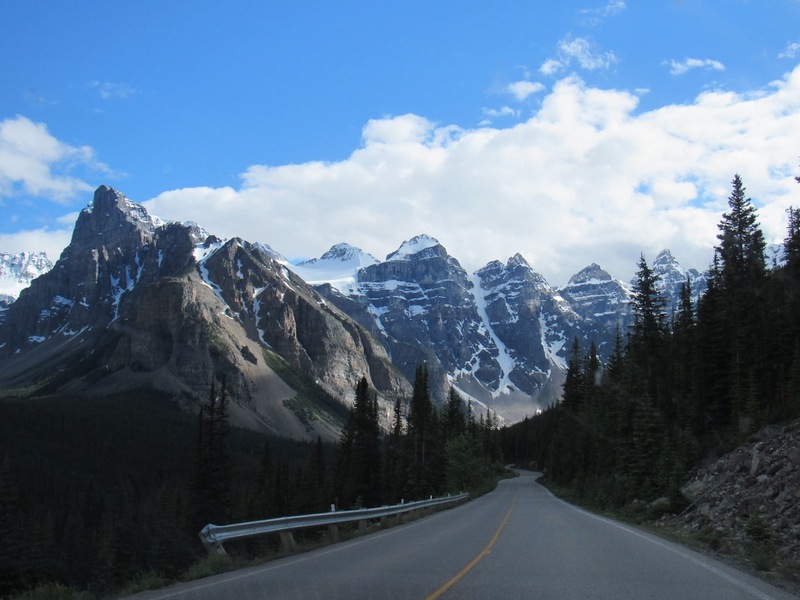 No matter which of these towns and attractions you choose to visit, make sure that you transport your group there safely and comfortably with a charter bus rental!